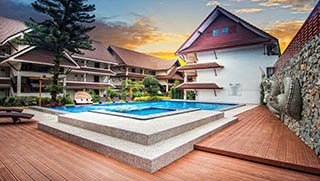 Chiang Mai Hotels selected by Easy Day Thailand. 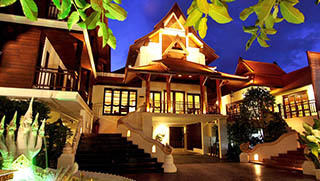 Enjoy your stay in Chiang Mai in one of our selected hotels. From 3 Star to 5 Star Hotels you find everything you need in Chiang Mai. 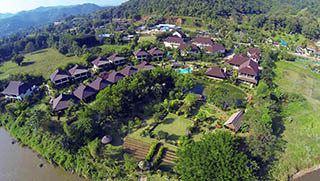 Contact Us if interested in any of our selected Chiang Mai Hotels, or if need specific recommendations. Bodhi Serene Chiang Mai is located in the inner walls of Downtown Chiang Mai, close to bars, restaurants & sightseeing. Lovely Boutique hotel for a romantic stay in Chiang Mai Town perfect for couples and single travellers alike. Ideally located in the inner (Old) city, within easy walking distance to all the best bars, restaurants, shopping & Chiang Mai night-life. Located on the Maekok River in Thaton District, between Chiang Mai and Chiang Rai. Perfect base during a tour through northern Thailand. 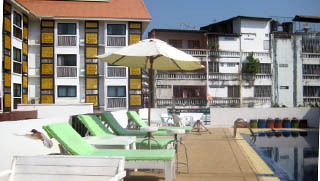 Nak Nakara Hotel Chiang Rai – Popular hotel conveniently located in the center of Chiang Rai Town. Great value for money.